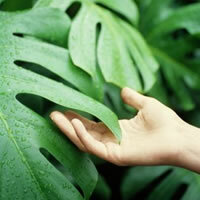 MOOM®’s focus is caring for your skin, and its secret ingredient is its love for nature and the environment. MOOM®’s revolutionary combination of 100% Organic and food grade ingredients makes it ideal for sensitive skin and delicate areas. Its carefully balanced formula gently removes hair with its root and keeps it off for up to eight weeks. MOOM® is Gentle enough for the most sensitive areas, yet strong enough for the most stubborn hair. Rinses away with water. Easily removable from warmers, towels, sheets, fabric strips and any other surface with warm water. Especially useful when shaping the eyebrows since mistakes can be easily rinsed away and MOOM® reapplied. Regrowth is sparse and hair thinner with repeated use. Leaves skin hair free for up to 8 weeks. Gently removes the hair from the root. Does not break the hair at the surface. We have made a conscious effort to be a part of the movement toward preservation of our precious environment. There are ABSOLUTELY NO chemicals, perfumes or artificial substances in MOOM®. MOOM®’s unique color is completely natural and results form the development process. Our containers and jars are recyclable. MOOM® guarantees that only the highest quality ingredients are used in the manufacture of MOOM® Beauty Products.